What's different about this photo is that I'm only an amateur with nothing more than a 240mm telephoto lens on a basic tripod. Film was FujiColor Super G 800, the camera was set at f/4 (wide open) and the exposure was under 1 minute. I live next a a small city so there is plenty of light pollution. 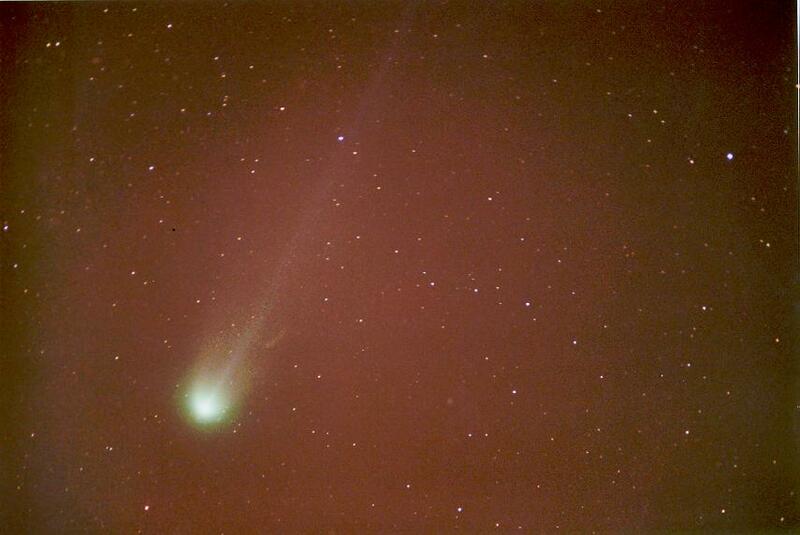 With all this going against me, the comet is recognizable in the photo.